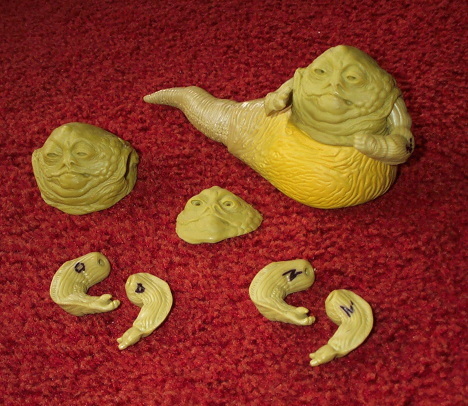 You see here an impressive collection of prototype pieces, all relating to the Jabba the Hutt figure. While some are conceptual in nature, others are artifacts of the process used to create the toy that was released to stores in 1983. 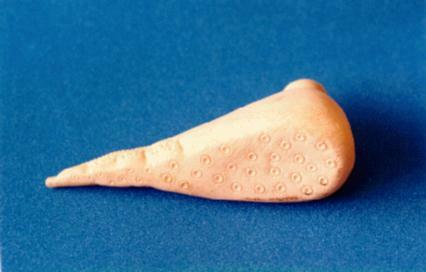 Shown above is an unpainted head that dates from the conceptual periods of the toy's development. 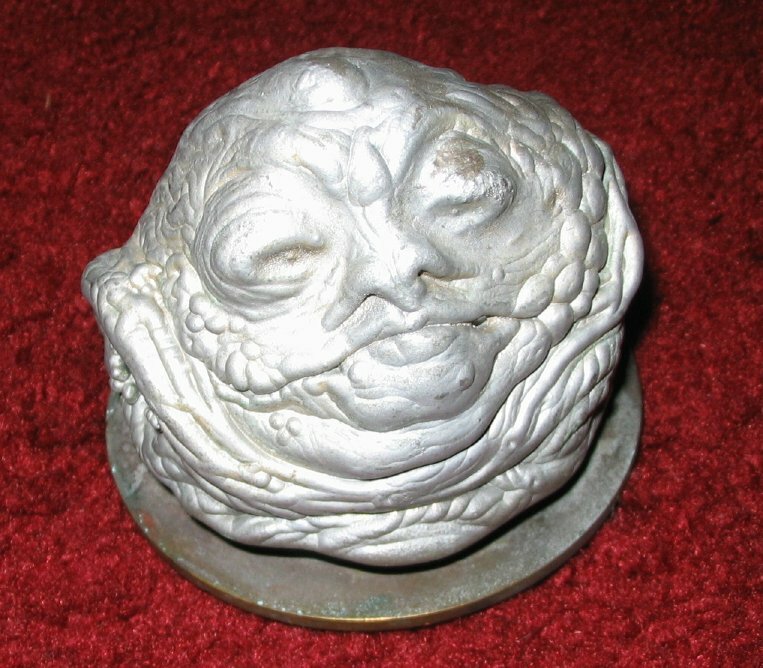 It's identical in form to the head featured on the early Jabba prototype seen here. Here's a very similar hardcopy, which has been painted with gray primer. 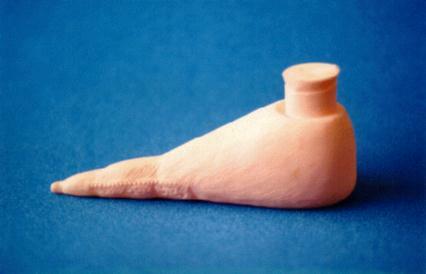 Here you see another conceptual piece, only this time it's not of the head but of the body of the Jabba figure. 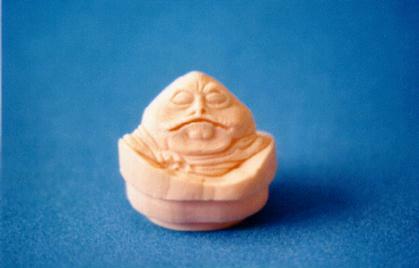 A modified version of this piece was used to create the conceptual Jabba seen in some Kenner photographs (again, click here to see it). The inside of this hard copy tail with grey primer. 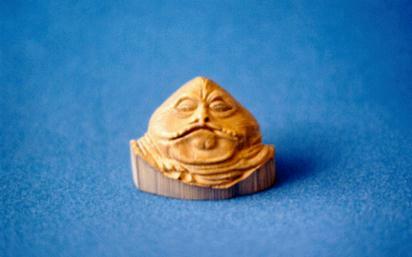 Artifacts exist which suggest that Jabba was originally planned as a vinyl toy. A vinyl version of the conceptual head is featured in the photo above. Here are a couple shots of the companion vinyl base. 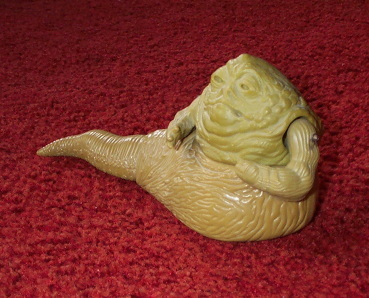 Finally, here are two shots of a hard copy tail from the production version of the Jabba figure. This shot is taken from above. Note that this hard copy piece is in different parts to allow for articulation unlike the concept hard copy. This gives a closer look at the various pieces in the production hard copy tail. 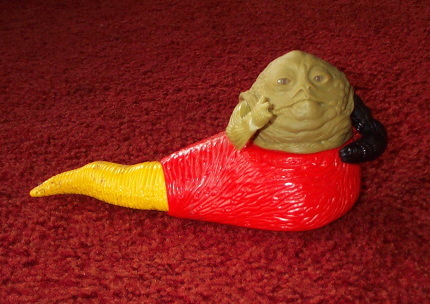 Multicolored first shots from the vintage line are extremely difficult to find, but this fully assembled one shows all the pieces of Jabba. 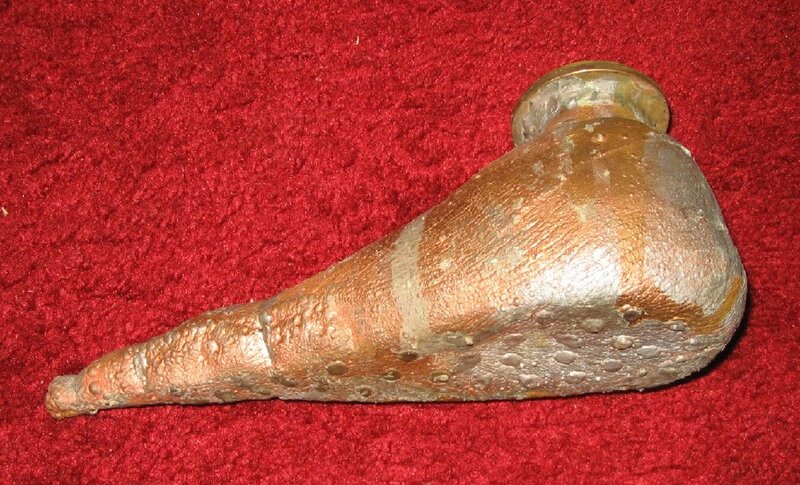 This first shot has metal pins in the arms, fastening the joint mechanism for arm movement. Various first shot pieces, assembled and unassembled. Note that some are marked O and others N for "Old" and "New", respectively, for some change in the detail on the parts. 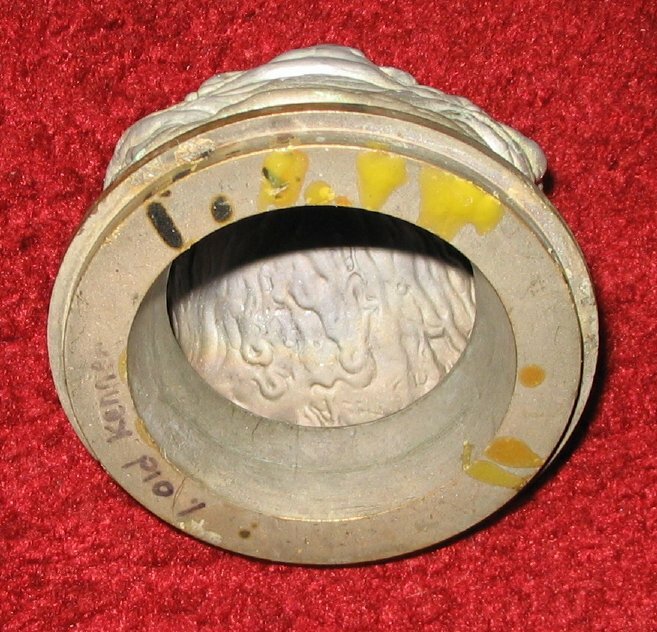 Rotocast mold for the production head. 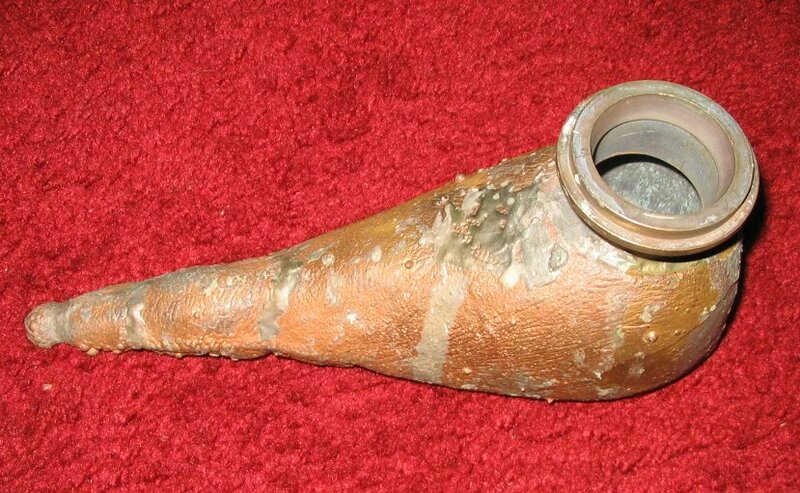 Rotocast mold for the Jabba concept tail.